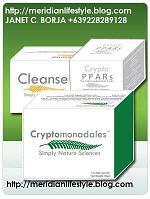 Participate in the process of digestion and absorption of nutrients. In addition, water is the only aliment with zero calories. So what will stop you to drink water? Drinking a glass of water when you are hungry, will reduce the hunger sensation or will eliminate the appetite, coming to help those who want to lose weight. Drinking water is helping to metabolize fats in a better way, avoiding their deposit. Experts recommend the consumption of 40 ml/kg /24h of water, this would mean for a person of 55 kg, a consumption of 2.2 liters of fluid per day. (10-12 cups of water).We are different and our needs are different. If practicing different physical activities, the amount of fluid intake should increase to fill fluids and minerals which are lost through sweat. The same happens during hot periods. The amount of water will also depend on food intake: a consumption of fruit, vegetables, soups, broths, juices, teas, will partially compensate the water consumption. Do not wait until you are thirsty to drink water. Drink water before and after physical exercise. Drink water regularly throughout the day, avoiding late night drink to have a restful sleep.